With 18.2 million Americans watching the US play Portugal in the 2014 World Cup on ESPN alone, the country's interest in soccer is continuing to grow. 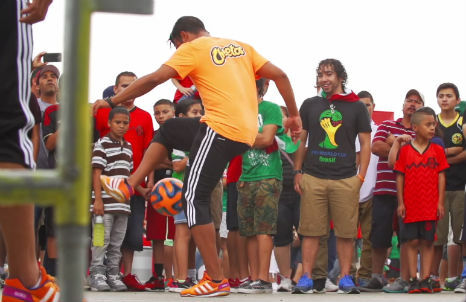 Tapping into this enthusiasm, Cheetos is launching a campaign featuring its own soccer team, Los Cheetahs, and a tournament. With brands and agencies pandering to every last Hispanic linguistic and cultural stereotype in an effort to grow their appeal, Honda has launched an advert that mocks their efforts. In just 30 seconds, the advert shows how young Latinos can't be 'boxed' into a stereotype. With plans to close 33 stores across the country after a continued slump in sales, one of America's oldest retailers – JCPenney – has been having a tough time of late. A new strategy, however, is pinning turnaround hopes on a new brand muse: tapping into the Latina market. Is patriotism still an obsession among Americans? And do they still love their cars? In our 2014 / 15 cultural snapshot of the United States, we demystify cultural myths, shed light on the country’s economic outlook, and explore the emerging and established trends across eleven sectors.